Hi everyone! Hope your summer has gone well. Mine has been pretty busy, but it has ended on a good note. “Why?? ?” You ask! Well, I got a chance to do what I love to do, which is be creative and use my hands. 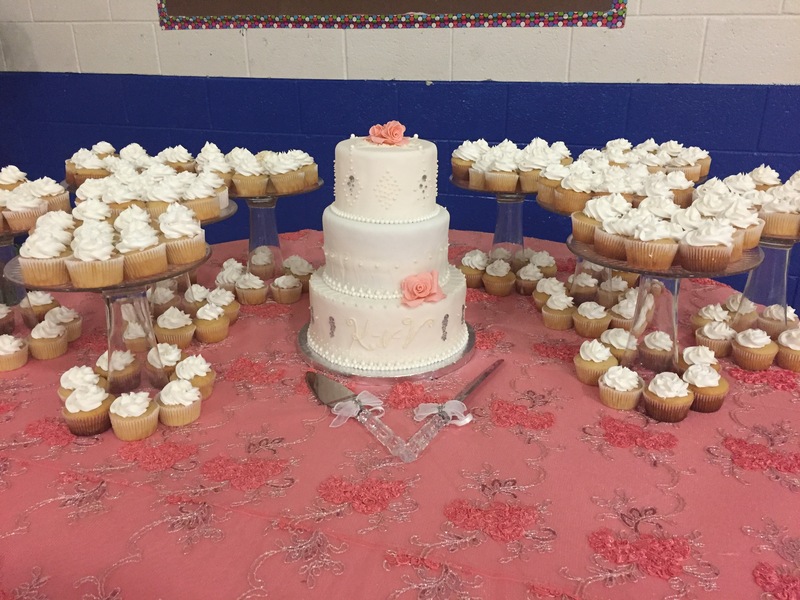 I did a 3 tiered wedding cake and 200 cupcakes for a beautiful couple this weekend. 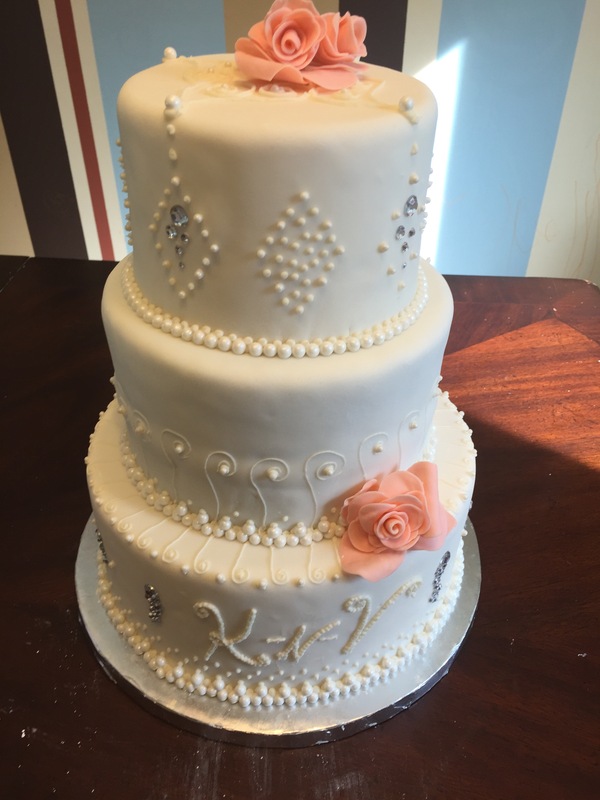 It was a privilege to make a cake for them, and the bride gave me free reign to create what I thought she would like, with a few suggestions from her of course 😉. 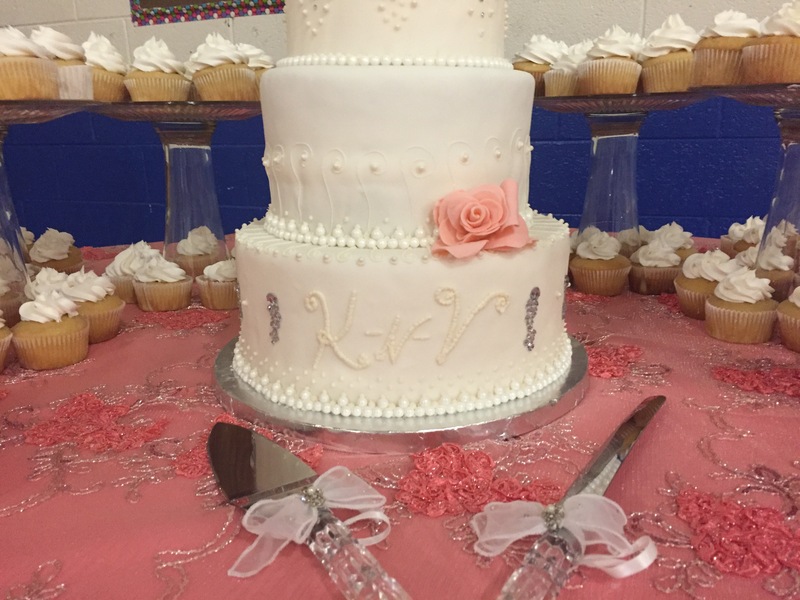 This was a 3 tiered, vanilla with strawberries and butter cream filling, covered in fondant & personal Monogram. 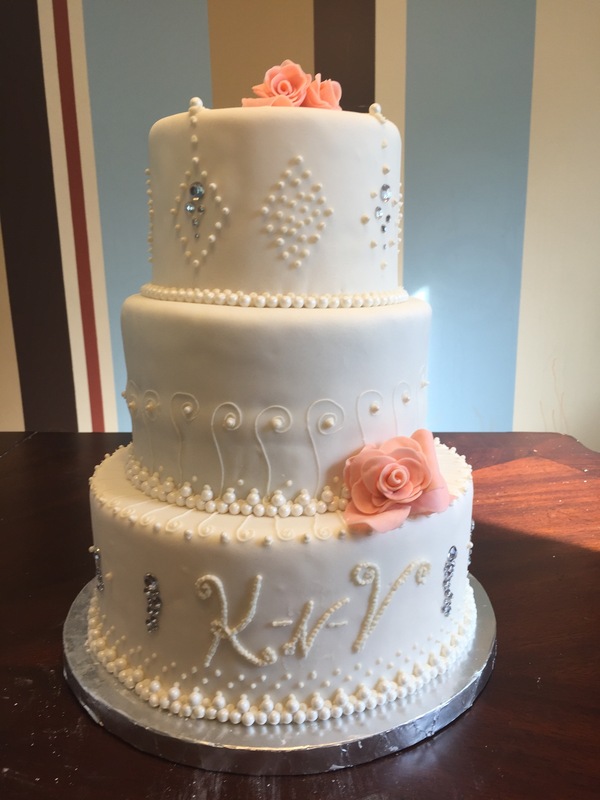 I spiced it up with a little “BLING”and some Guava colored flowers, which were apart of her wedding colors. 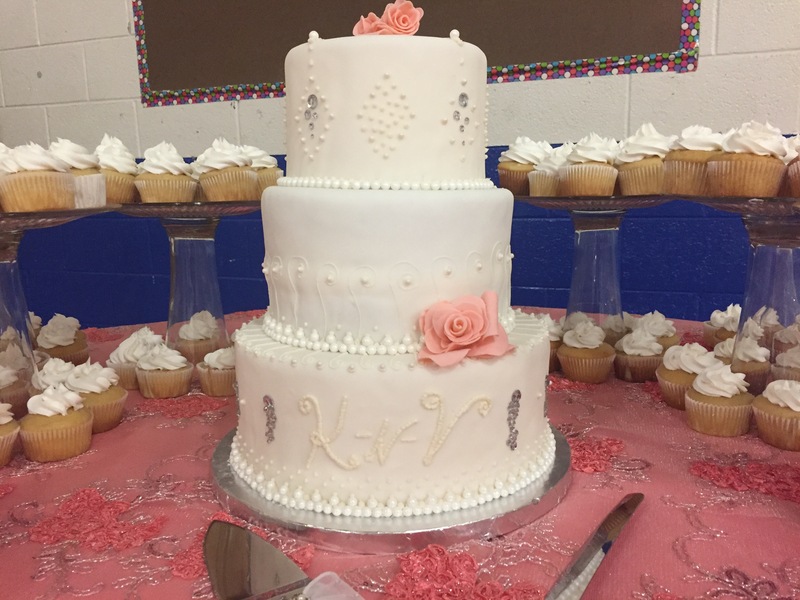 The flowers are made out of Fondant & the pearls are edible. The only things not edible on the cake are the diamonds 💍. Stunning Tammy -The couple must have loved it! Thank you so much Carol! It was fun to make.